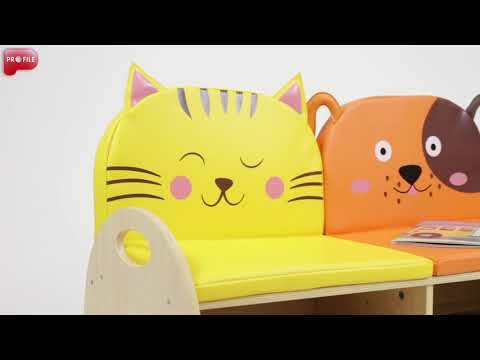 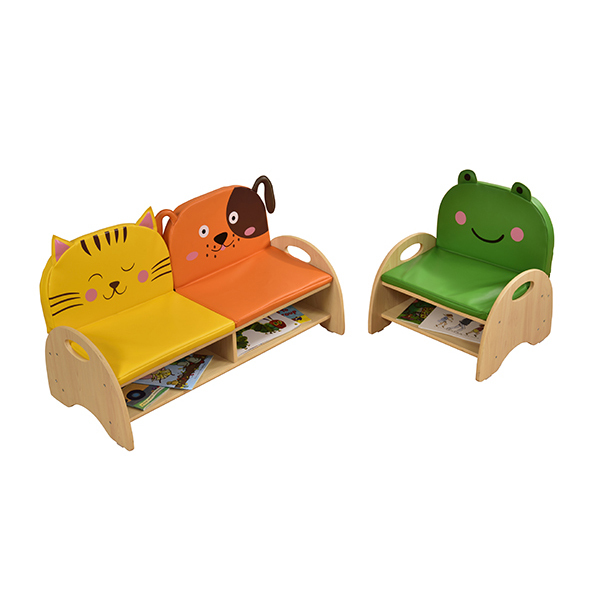 For more comfort, fun and additional storage just add a lovely animal cushion to our one seat and double seat storage chairs. 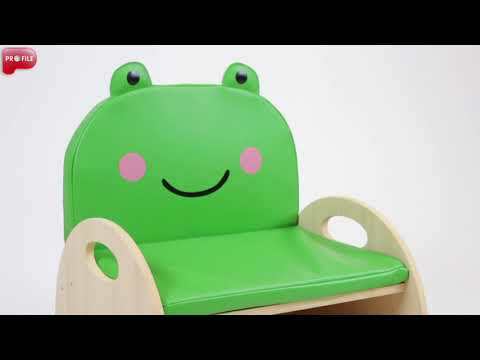 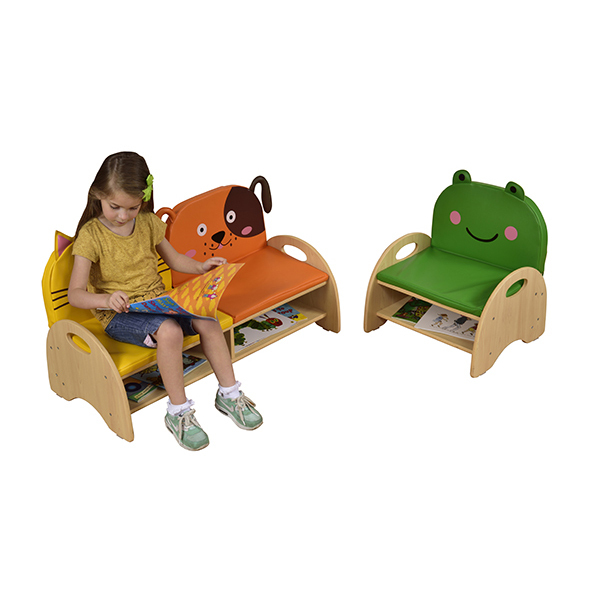 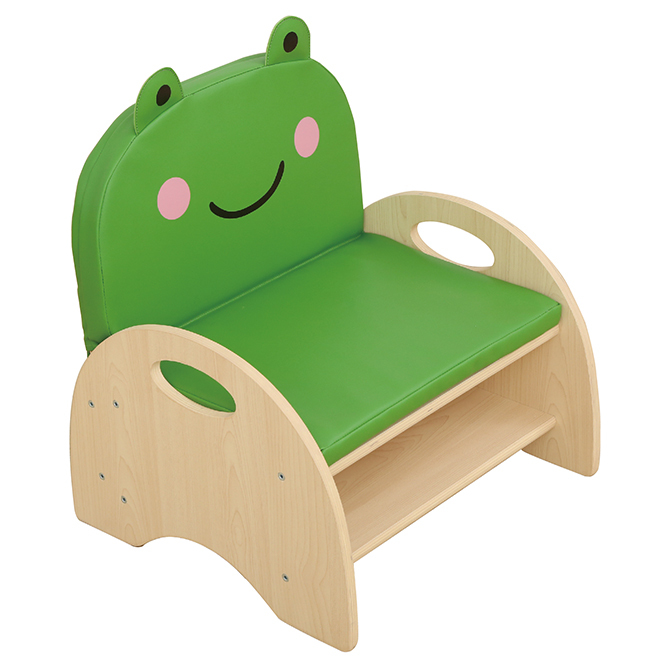 This frog cushion simply slips over the back of your wooden chair and hey presto – bring your kids chair to life with a cute animal character. 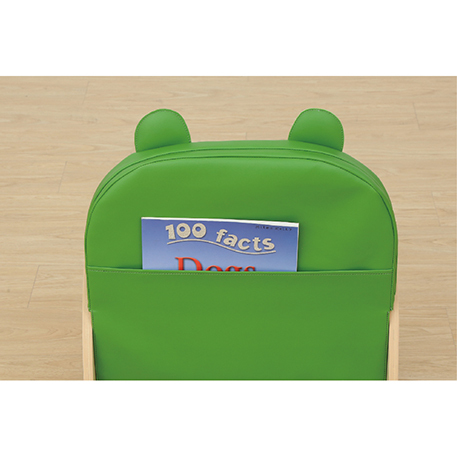 Manufactured from pvc and 30mm foam.